JDRF Chief Mission Officer Dr. Aaron Kowalski has been named the organization’s next President and CEO. See our interview with Dr. Kowalski! After 15 years at JDRF, with the last five spent as Chief Mission Officer, Dr. Aaron Kowalski has been promoted to President and CEO. 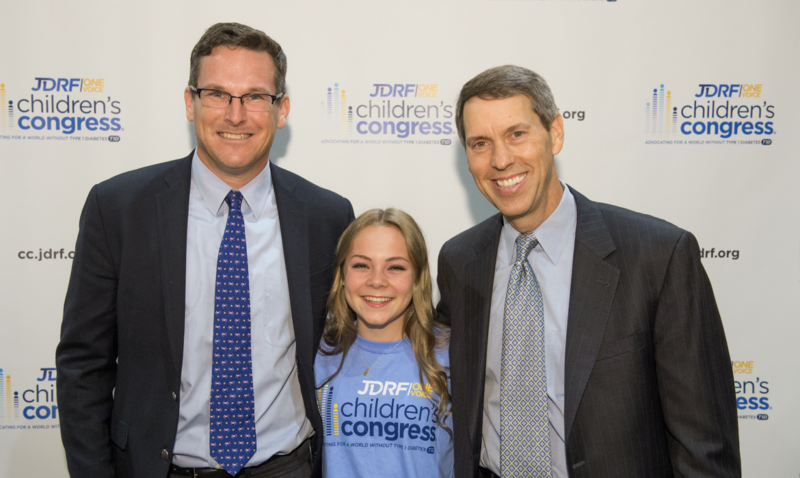 Quite notably, Aaron is the first JDRF CEO to live with type 1 diabetes (though his predecessors have certainly had close ties), which he believes helps him understand how the organization can make the biggest impact on people’s lives. He takes over for Mr. Derek Rapp, who has skillfully led the organization through considerable growth since his appointment in 2014. 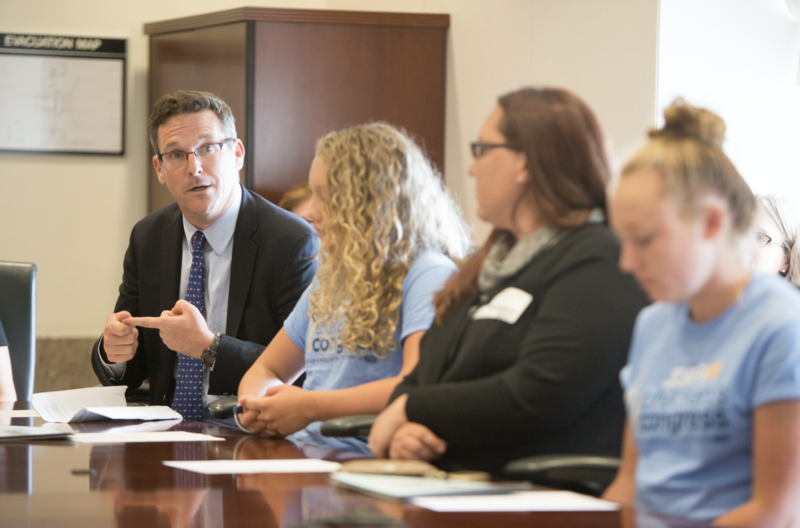 A respected scientist and advocate, Aaron is extremely deserving of this role and well-equipped to lead JDRF in what is shaping up to be a pivotal period in diabetes research, funding, advocacy, and healthcare delivery. He is highly-regarded in the global diabetes community for his role in helping to put continuous glucose monitoring (CGM) and automated (closed loop) insulin delivery on the map, for his work in and commitment to progress in basic science that is expected to lead to multiple cures, and for his strategic, urgent, and confidence-inspiring voice. In the past couple years, he has been a vocal champion of DIY (do-it-yourself) closed loop insulin delivery – which he uses himself – as well as a prominent figure in the quest to lower insulin prices (in fact, he testified in front of Congress on this topic last week). One of Aaron’s greatest assets, many believe, is his knack for bringing people together to collaborate – this skill will undoubtedly serve him and the diabetes community well in his new role. Kelly Close: Aaron, congratulations from everyone at The diaTribe Foundation – we are so elated to hear this news! How do you feel? What did your family say when they found out you were named CEO? Aaron: I’m humbled, excited, you know most of all I just can’t wait to get at it. I think there’s so much we can do, and we are launching from a very incredibly positive place. So, let’s get at it! Brian Levine: What’s your first task in office? What are your very top priorities as CEO of JDRF? Aaron: I think Derek [Rapp] has catalyzed incredible momentum. One area, of course, is science. The treatments are amazing, and we are benefiting. But again, our goal is to cure this disease. We use the plural “cures” now, whether it’s beta cell therapies (replacing the cells in the pancreas that produce insulin) or immunotherapies. We’re going to make a big push on both while ensuring that people are healthy until we get there. Second, we’d love to see even more adults involved, across all stages. We have so much unchanneled energy, potential, and resources that we need to engage more to help people achieve better outcomes, and then our ultimate mission of having them walk away at some point from type 1 diabetes. Third, how do we make sure that the research, and new drugs and devices and therapies are affordable and accessible, that people have choice, and they achieve better outcomes? Our work is not done unless people achieve better outcomes. The daily life of people with diabetes is more than an A1C – it’s often hidden from the public. But, it’s still a 365, 24/7 disease that is really, really hard. Ann Carracher: It’s great to be speaking with you about your strategy across so many different fronts. We have to ask, how does it feel to be the first JDRF CEO living with type 1 diabetes? Aaron: What I bring to the table is that I get it. I understand what will be most impactful. For example, one of the areas that I’m proud of right now is our work in the mental and social aspects of diabetes. Until there’s a cure, we need to help people live with this disease. I’m one voice, but I certainly hope to provide context for the seriousness of this problem and enable JDRF to deliver solutions that are truly impactful. Brian: What would you like to see accomplished by 2021, the 100-year anniversary of insulin? Are we where you thought we’d be when it comes to technology and the regulatory landscape? Aaron: I am so excited today to be wearing a hybrid closed loop and seeing how that positively impacts my wife and my kids. I was at a summit yesterday and heard many people come up and say how their lives have become better with hybrid closed loop. What could be better than that in terms of impact? That said, we also had a session on advocacy, and we aren’t all the way there, particularly when it comes to accessibility. Medicare coverage for CGM was a great victory, but we don’t yet have access to the Medicare population for artificial pancreas systems, for example. When I think about what’s coming down the pipeline, I’m very optimistic about the many exciting disease-modifying therapies moving into clinical trials. I don’t think it can be understated how important that is. Of course, these devices are huge, but they’re band-aids. They’re not solutions. We haven’t yet changed the course of type 1 diabetes in the real world. We have line of sight to disease-modifying therapies. Cell therapies and immunotherapies are on the cusp of major breakthroughs for us. That’s going to be a big theme for me. Keeping people healthy? Critical. But we’ve got to change the course of type 1 diabetes. That is mission critical. Aaron: One of the number one questions I get in the field is, “What can we do about the rising cost of insulin?” It’s going to take a lot of collaboration and hard work. We have people who are scared and under-dosing insulin. We need to push really, really hard here. You saw that in Washington last week. This is a problem that needs real solutions. And it’s really diabetes care in general. Our belief is that people with diabetes and their physicians should be making the decisions on what’s best for them – not insurance companies. This is a critical issue. JDRF is going to put our weight behind it, and we need to work together. Our community is counting on it. Ann: If you could say anything to healthcare providers who are working with people with type 1 diabetes and who don’t have the capacity to do everything they’d like to do, is there any advice you’d have for them or anything you’d like to say on their roles? Aaron: There are a number of different areas where we’re working to lessen the administrative burden for clinicians and increase the opportunities for cutting edge education on the latest new advances. Ultimately, I would love to see my doctor and every doctor who is practicing diabetes medicine understand the best opportunities to help their patients and have as much time as possible with people with diabetes and their loved ones to deliver the best outcomes. So, we have made a conscious decision to also invest here – and again it will primarily be focused on policies that lessen the administrative burden for clinicians, as well as continuing medical education and different opportunities that allow more at-your-fingertips, cutting-edge information. The last thing would be the data – the decision support tools and the ability to interpret the complex information of diabetes. We have all the glucose information today, tomorrow we’ll have genetics, and we’ll have a variety of other metrics. We need to distill that into tangible, actionable info for clinicians so they can help their patients efficiently. Peter Rentzepis: If JDRF could magically quadruple its fundraising tomorrow, what areas would you be most excited to invest in? Aaron: If our budget were bigger, we would move faster. 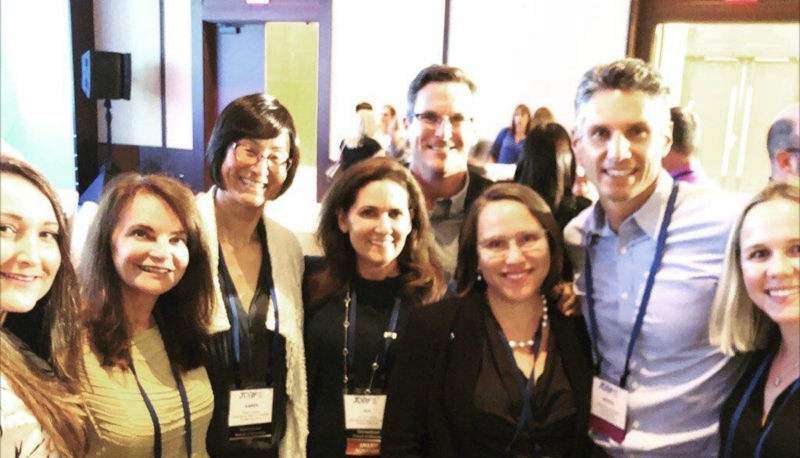 That’s something I think about towards increasing impact: the more JDRF can push, the more collaborations and leverage we have across the community with organizations like diaTribe, Close Concerns, ADA, Helmsley, all the professional and patient organizations, and work across the globe. I hope that we see significant increases in our ability to fund more research, and that’s going to be one of my top priorities because we need to keep pushing faster and harder. Specifically, we’re going to make a big push on beta cell therapies and immunotherapies while ensuring that people are healthy until we get there. Kelly: Congratulations once again from us all to your board, your teams, the broader JDRF, all the regional leaders, all the supporters – wow! Our teams have been saying that ever since we were able to start to work together so many years ago! 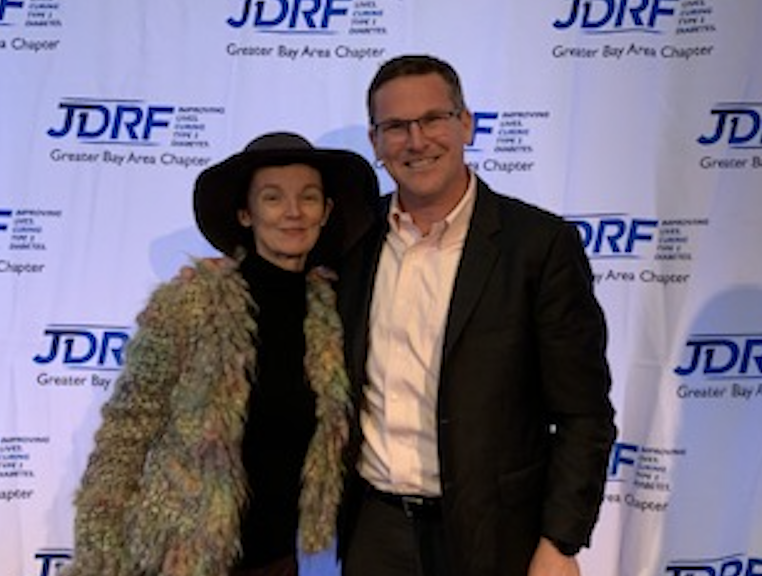 You made a massive commitment on the closed loop, and on science more broadly – thank you for all you’ve done and all the JDRF funders and team players with you.